Former DePaul head coach Dave Leitao will be hired for a second stint as DePaul men’s basketball head coach, the school announced Sunday. Leitao, 54, previously served as the Blue Demons’ head coach from 2002 to 2005. Leitao is the last head coach to have success at DePaul, taking the Blue Demons to the postseason three times with two trips to the NIT and one to the NCAA tournament. Leitao took the Blue Demons to the NCAA tournament during the 2003-04 season, where DePaul lost to UConn in the second round. 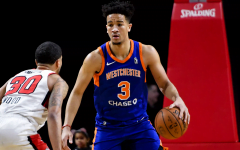 Leitao bolted from DePaul in 2005 for Virginia, which turned out to be a failure. Leitao lasted four seasons at Virginia and only made the NCAA tournament once. 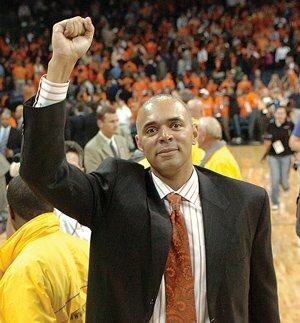 He was fired after the 2008-09 season after Virginia went 10-18. 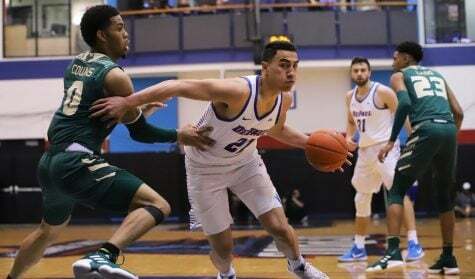 ESPN’s Andy Katz and Jeff Goodman were the first to report that DePaul reached a deal with Leitao. 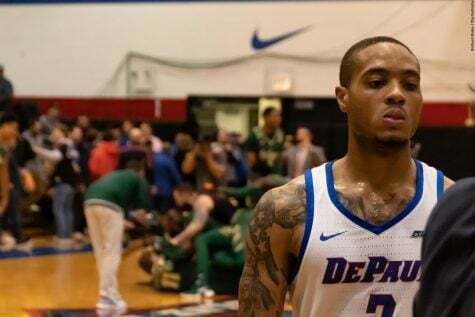 Katz also reported that Leitao’s deal with DePaul is a five-year deal. 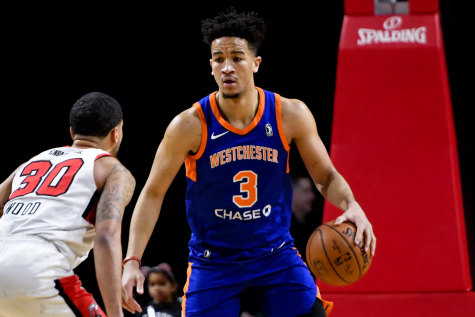 The hiring comes as a bit of a surprise as DePaul also interviewed Buffalo’s Bobby Hurley and Valparaiso’s Bryce Drew, two younger up-and-coming head coaches, this weekend. ESPN reported Saturday that Leitao was also brought in to interview this weekend. DePaul used Parker Executive Search, a top searching firm, to help hone in on Leitao. 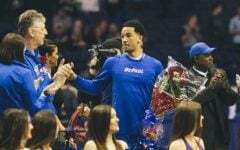 “(Leitao’s) success here speaks for itself with three postseason appearances in three years with teams that energized our alumni and fans with their competitiveness and work ethic,” DePaul Athletic Director Jean Lenti Ponsetto said. “When he left in 2005, we recognized that it is the nature of our business that dynamic coaches get recruited away. 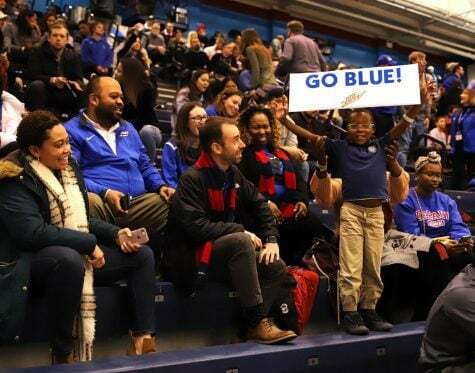 Now we are pleased to welcome Dave, his wife Joyce and their family back to Lincoln Park with great enthusiasm for his leadership and the future development of our men’s basketball program. Leitao most recently served as an assistant coach at Tulsa this season. That’s it. I’m done. Clueless does not begin to describe this hire. Good bye DePaul. What a joke. I’m done as an alumni. How much did that search cost? Is that used with alumni donated funds. I should’ve attended Marquette. 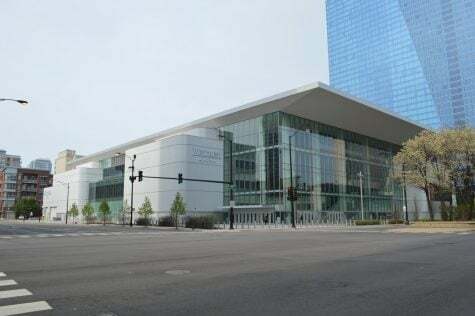 Jean Lenti Ponsetto & DePaul Athletics squandered money on a search firm just for a thoroughly uninspired coaching hire and they still expect that new arena at taxpayers’ expense. If that isn’t mismanagement, I don’t know what is. A coup d’état to topple Queen Bee is long overdue. John, you’re not the only alumnus regretting having attended DePaul. I myself should’ve matriculated at Lehigh, purely for academic reasons. Sad, pathetic, embarrassing. I’m ashamed to say I graduated from DePaul. Are you kidding me??? I will never donate to this University. They don’t know what to do with money and they don’t know how to build a community. 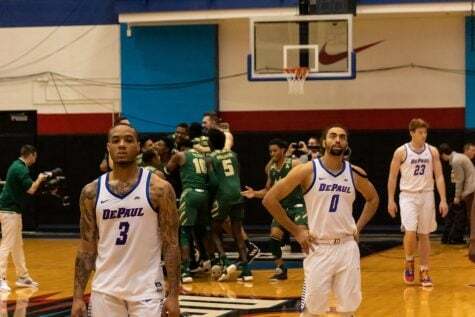 This DePaul brand (and my degree) continues to get watered down. It’s sad but Athletics it’s just the beginning. I can’t believe Father H lets this continue. His power should be questioned. DePaul should just call itself a community college. Here’s to another decade and a half of irrelevance. Can’t believe I associate myself with this program. All the decision makers involved need to be relieved of their duties. This is irresponsible for so many reasons: Over the past seven years more and more passionate, professional and dedicated professors at DePaul are being moved to part time positions on campus as a cost cutting move. At DePaul, part time professors earn 64% less than their full-time peers. Meanwhile, the athletic department is busy making the position of men’s basketball coach, the highest paid person on campus. 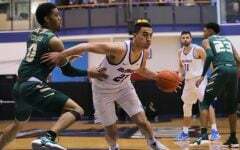 Since Jean Lenti Ponsetto started hiring, the men’s record is 172-234, which includes seasons of only 7, 8 and 9 wins. 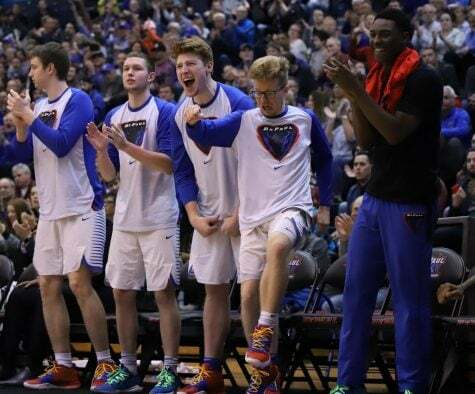 More embarrassingly, DePaul has been to the NCAA tournament once since 2002. 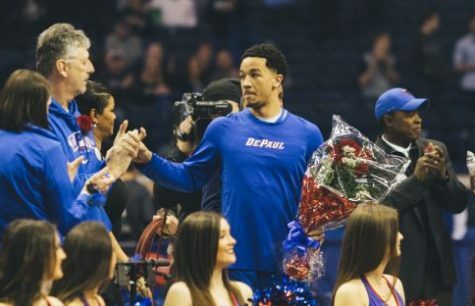 From DePaul’s 990s, Oliver Purnell, who led the team to a 54-105 record, was making over $2.2 million per year, plus $32,000 in other reported compensation. That’s more than twice as much as anyone else employed by the university. While Leitao’s numbers have not yet been released, if it’s anything near $2.2 million, there should be a protest. With the money paid to Purnell, the university could have paid 30 professors at $75,000/year, or, to put it another way, bumped between 3-6% of it’s part-timers to full employment. Research suggests that hiring the search firm DePaul used — Parker Executive Search — costs between $58,000 and $75,000, but those numbers were from 2009. Some six years later, it’s likely that the cost of employing the firm was much, much more. With all that said, our AD, Jean Lenti Ponsetto, makes over $367,000 a year. The cost of the search firm should be detracted from her salary, since, according to reports, Leitao was the favorite all along. The money should be repaid to professors and students who are getting cheated by mismanagement. If the university is not committed to winning, it should do what’s financially responsible, and act like an academic institution by pouring the money back into education. It would not be hard to find a coach that could lose more than 50% of the games for $250,000-$400,000. At that price, Ponsetto should even be able to find someone that can win. For example, Bobby Hurley was making $250,000 at University of Buffalo in his initial contract. 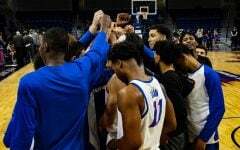 Though he making more now, it proves that there are younger, talented coaches out there — passionate coaches that can bring enthusiasm to stagnant programs, without insulting faculty and alums by being paid outrageous sums. As an alum, I will never give a dollar to this poorly managed institution. 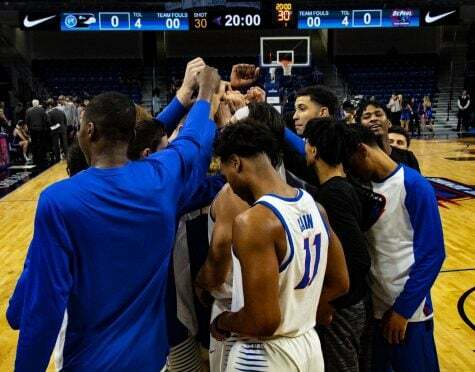 As long as organizational misalignments exist — which, are not limited to the athletic department — the university will remain ineffective. And it’s sad because there are some incredible professors, who do outstanding work at DePaul. Unfortunately, they are being overshadowed by poor management. Or to frame it another way, if the university’s compensation structure is a metaphor for the way it is run, the students, alumni, and community are losing, as the institution misallocates resources by overpaying for poor performance (in men’s basketball), while making caring professors less secure by moving them to part-time positions.